“Downtime” is never a good word in any manufacturing facility. It means something has malfunctioned or broken, parts are not being made, production is reduced, and money is being lost. In some cases this downtime may be caused by a physically damaged inductive proximity sensor. If this failure mode is happening on a regular basis to the same location, it may be time to look at the advantages a prox mount can provide. What is a prox mount? I am using the term prox mount for an accessory item that is used to mount an inductive proximity sensor to a machine or piece of equipment. It may also be know as a quick change device or a quick change tube. 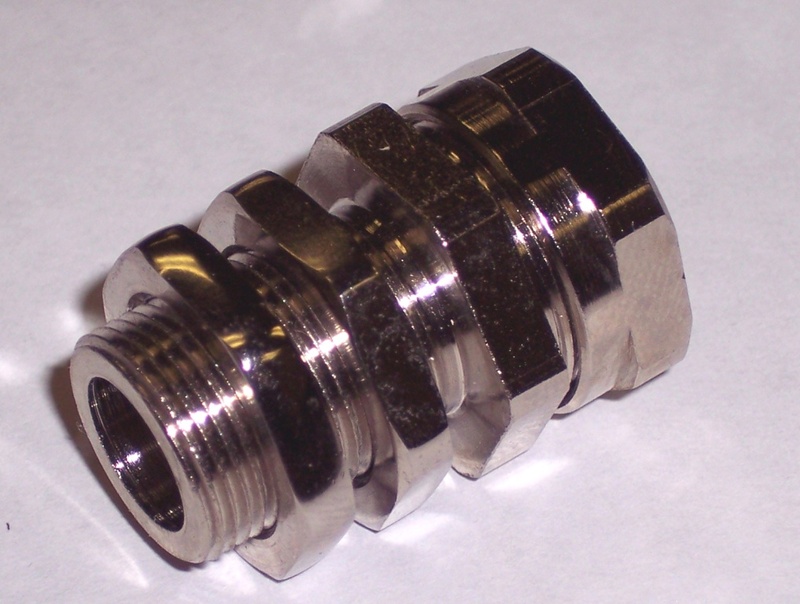 It is a mounting assembly consisting of (3) parts: a metal (normally nickel plated brass) threaded housing, a plastic insert, and a compression nut. Prox mounts are available in sizes and lengths to accommodate the popular tubular inductive sensors, such as M8, M12, M18 and M30. 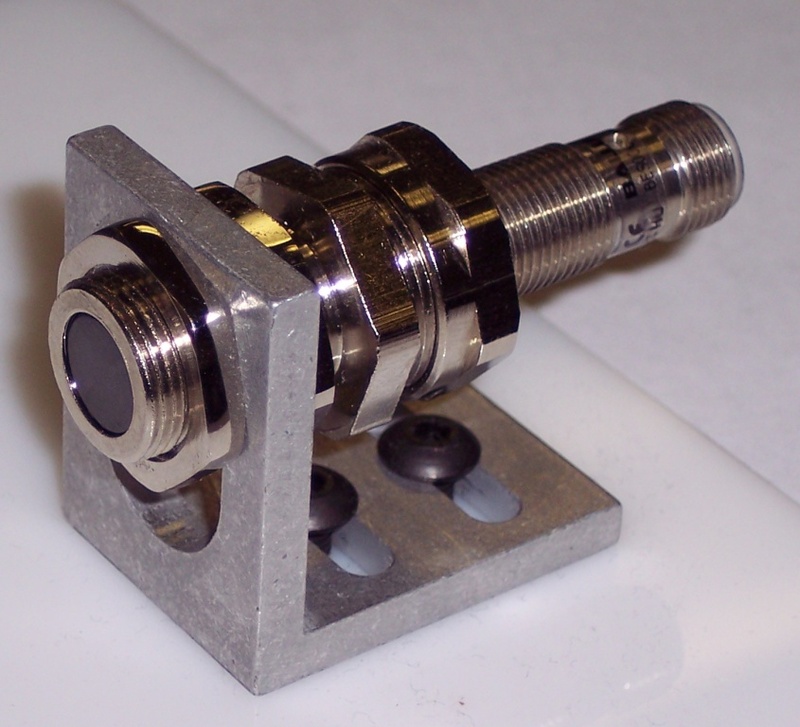 A photo of an M12 size prox mount by itself is shown below. From the photo above you can see the prox mount is externally threaded (M16 x 1) and has (2) lock nuts for mounting the prox mount itself. The rear of the prox mount contains the compression nut that is tightened down to hold the sensor in place. You can also see this version has a “lip” on the front where the sensor face sticks out. This lip allows for consistent, repeatable placement of the sensor inside of the prox mount. The following photo allows you to see the prox mount components and the inductive sensor, prior to assembling the unit. This photo shows the threaded prox mount housing and the M12 sensor with the plastic retainer and compression nut. Next, the sensor is slid into the prox mount until the sensor face is against the front “lip”. At that point the compression nut is tightened to hold the sensor in place. If the sensor ever needs to be replaced, the compression nut is simply loosened, the old sensor is removed and a replacement sensor installed – All without removing the prox mount! This allows the sensor to be positioned in the exact same location without having to re-home your machine/equipment or perform any set-up tasks. This provides a huge time savings on change outs. This last photo (shown below) shows a fully assembled M12 prox mount with the M12 sensor installed. The prox mount itself is mounted to a 90 degree bracket and will never need to be removed. You can also see the prox mount provides physical protection all around the sensor including the entire circumference of the sensor face. Since an inductive sensor can detect non-ferrous metals, the “lip” on the prox mount typically reduces the sensing range about 0.1 mm to 0.2 mm and only standard range sensors should be used (extended range models will typically be triggered by the “lip” on the front of the mount). 1. One installation – Once installed and properly positioned – the prox mount does not have to be removed to exchange the sensor. 2. Extended Sensor Life – The prox mount metal housing provides physical protection for the sensor and extends the sensor life in physically abusive applications. 3. Repeatable Positioning – The prox mount “lip” allows the replacement sensor to be installed in the exact same position as the previous sensor thus removing the need for re-homing, set-up or re-measuring when the new sensor is installed. 4. Protection From Heat – In many cases a prox mount is used in a welding application. In this application the prox mount also provides protection from the hot weld slag and increased heat from the welding process (PTFE coated models are also available to help shed weld slag). 5. 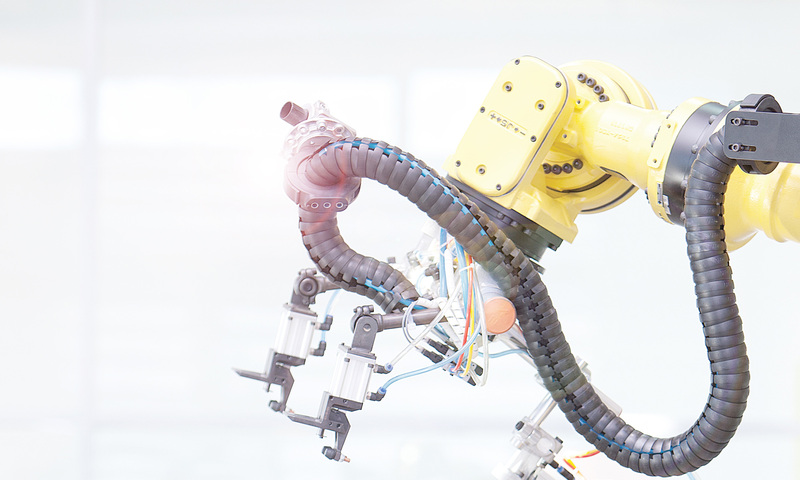 Reduced Downtime – One of the main features of the prox mount is it’s capability to exchange a sensor very quickly. Rather than having to loosen and unscrew various threaded locknuts the full length of the sensor – only the compression nut needs to be loosened to remove the sensor. The replacement sensor is then slid into the prox mount and the compression nut tightened. Very simple and very quick. If physical abuse is causing repeated sensor failures and an easy solution is needed, a prox mount may be the answer you have been looking for. It provides physical protection to extend the life of the sensor and also provides a quick change-out method with precise sensor positioning. Previous PostPrevious The Basics of Profibus and ProfiNet, Revealed!